Last week I posted the case of a young child with school refusal. I treated the child without relapse and wondered how a biblical counselor would conceptualize the case. I was especially interested in how Health Lambert would respond, because Lambert recently wrote a document titled Ninety-Five Theses for an Authentically Christian Commitment to Counseling. 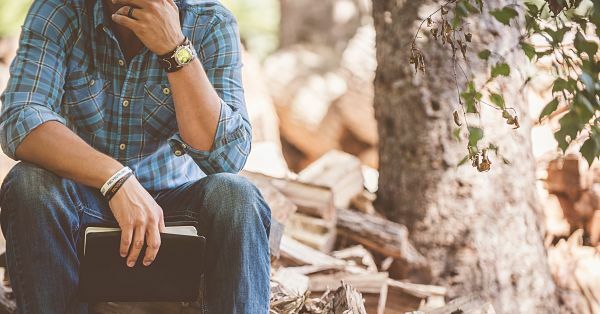 Lambert is the executive director of the Association of Certified Biblical Counselors and promotes biblical counseling which is to say counseling that relies on solely on the Bible for the answers to the problems addressed in counseling. I became interested in Lambert’s approach because of an accusation that he was involved in the firing of popular Christian psychologist Eric Johnson. Lambert later denied any role but it is clear that his biblical counseling model is the dominate approach at the Southern Baptist Theological Seminary, the flagship theological school of the Southern Baptist Convention. Unfortunately, I have not had a reply from Dr. Lambert. Instead, yesterday I posted the case conceptualization of Tim Allchin, a biblical counselor in Chicago who runs a ACBC approved training site. In today’s post, I provide a case conceptualization from A.J. McConnell, a Christian psychologist who attempts to integrate the Bible and psychology. Although those outside of Christianity might not see much difference between the two approaches, historically adherents of the two approaches have accentuated the differences. Tomorrow, I will describe my approach and provide the results of treatment. In addition, I plan to discuss both Allchin’s and McConnell’s approach. Also, I will critique my own plan and talk about how I would approach a similar case now. My name is Dr. AJ McConnell and I am a clinical psychologist. My clinical expertise is in the diagnosis, assessment, and treatment of individuals with neurodevelopmental disabilities. I also have significant experience working with individuals with anxiety disorders, depressive disorders, marriage and family concerns, and other mental health conditions. As a Christian, I will integrate the Bible and my expertise in the science of psychology when working with an individual that has requested and provided consent for faith-based counseling. There are seven main reasons why I wanted to provide a response to the Dr. Throckmorton’s case example. My experience as an individual that has attended church throughout my life is that most churches often minimize mental health and there are a lack of churches with adequate resources to help and serve the mentally ill. It is simply not a significant focus of Christianity in America. There is still a stigma regarding mental health, particularly among Christians. The brain is an organ in the human body. Similar to other organs (i.e., heart, lung, pancreas, etc), the brain may need treatment when medically necessary. Science indicates that many psychological disorders have a biological cause. For example, low levels of the neurotransmitter, Serotonin, contributes to symptoms of depression. Furthermore, low levels of GABA is associated with anxiety. One of the impressions from reading the 95 Theses written by Heath Lambert was that mental illness is the consequence of sin. I agree that we live in a fallen, sinful world, but Jesus rebuked the notion that a disorder / illness is always a consequence of an individual’s sin (see John 9:1-7). There is confusion among the Christian church regarding the field of psychology. Psychologists do provide counseling. However, we also specialize in other areas, such as psychological testing / assessments. For example, one of my specialties is in psychological assessments that determine if an individual meets criteria for an autism spectrum disorder, learning disability, or intellectual disability. My assessments are used by schools to assist students that need special education services. I strongly believe that there are psychological interventions that do not contradict the Bible. I admit that my views are not perfect. I have never meet Dr. Heath Lambert but I would assume that we would agree on most things with only a few minor differences. I believe a healthy and constructive debate regarding Biblical Counseling and Christian Psychology can be beneficial in both a professional and spiritual sense (Proverbs 27:17). Based on the description provided, I would assume the child met DSM-5 criteria for a Separation Anxiety Disorder. The first step is conducting a comprehensive initial assessment with the child and his mother. This would involve asking questions regarding the nature of the child’s anxiety at home, school, and church. Given the sudden onset of symptoms, I would also assess for any recent family stressors, abuse, bullying, and/or academic difficulties. Next, I would ask both the child and his parents what they have attempted to resolve the issue prior to starting counseling. 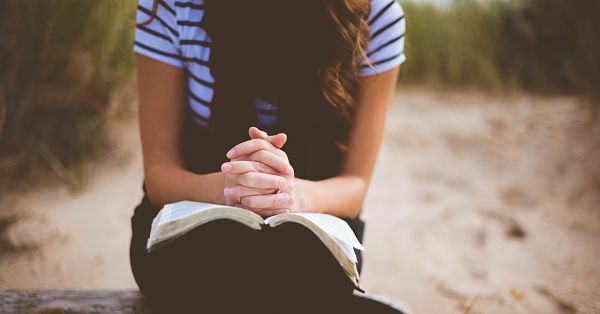 I believe it is also important to gain an understanding of how they view the Bible and what verses and other spiritual practices, if any, they have been implementing to better understand and resolve their situation. As a psychologist, I would collect data to assist in determining the appropriate diagnosis and to help guide treatment. Examples include having the child, parent(s), and teacher complete the BASC-3. I would also have the child complete the Beck Youth Inventory – Second Edition, specifically, the anxiety and self-concept inventories. If resources were available, a “Functional Behavior Assessment” would be completed. This would provide information on what happens in the classroom immediately before the child attempts to leave the classroom and what the consequence of the behavior is. This helps identify the function or purpose of the child’s behavior. My treatment approach would integrate Biblical principles and science. Cognitive-behavioral therapy (CBT) is an evidence-based approach for this type of case example (see http://effectivechildtherapy.org/concerns-symptoms-disorders/disorders/fear-worry-and-anxiety/ for a list of evidence-based approaches for anxiety). The premise of CBT is that an individual’s thoughts, emotions, and behaviors are interrelated and influence each other. A part of the psychologist’s role in CBT is to assist individuals in identifying and modifying any “thinking errors” and/or maladaptive behaviors that are contributing to a problem. Discuss patterns of thinking errors that are common for children with anxiety. Help child identify how to rate the intensity of his anxiety on a scale from 1-10. I will have some children and/or parents use the Daylio app to track their level of anxiety. 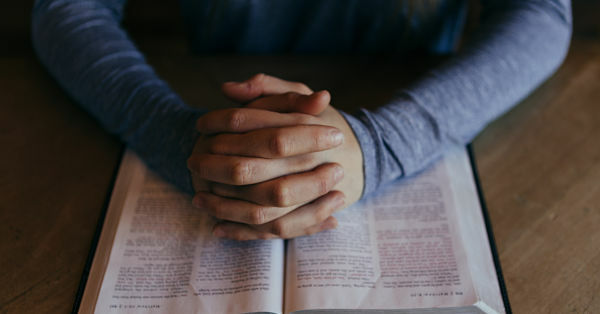 Identify and study Bible verses on anxiety in order to understand how God thinks about anxiety. This provides a healthy and Biblical model of how to think about anxiety. Replace worrying and anxious thoughts with prayer. Biblical meditation. Meditate on verses regarding anxiety as well as verses regarding the protective nature of God. Teach and practice deep breathing exercises. Teach assertive communication if teasing / bullying is occurring within the school setting. In-vivo exposure to anxiety-producing situations. This should be presented in a hierarchical order ranging from least anxiety provoking to most-anxiety provoking. Real life exposure to anxiety-producing situation at school. Discuss and educate child and parents on how God created the human body. A simple description is explaining that the Limbic system in or brain processes our emotions (e.g., fear) and that our autonomic nervous system is either in a state of relaxation or activation against stress. Therefore, we cannot both be calm and anxious at the same time. Exercises such as deep breathing, muscle relaxation, and other relaxing activities forces our body to calm down in response to stress and anxiety. I also have children create or draw a list of coping skills they can use when feeling anxious. I encourage them to focus on activities in four areas: creative tasks, social outlets (who they can talk to), physical activities, and relaxation. This will help the child identify things that he/she can do when he begins to feel the first signs of anxiety at school. Develop plan with parents and school staff on how to approach situations in which the child feels anxious. Designate a space where the child can take a break and/or meet with an available staff person to discuss anxiety. Have child carry picture of parents and/or a personal belonging of his parents that he can hold onto in the classroom. Use a visual schedule with the child so that he can see the daily routine of the school and also help him identify what time of day he will get to go home and see his parents. Provide child with a notebook that he can use to write a letter or draw a picture for his parents when he first arrives into the classroom. Have parents provide child with a short note that he can only read once he enters the classroom. Last, as a psychologist, I would continue to collect data to determine if treatment is effective. This would include obtaining feedback from the child and parents, reviewing parent and teacher behavioral logs, and/or additional administration of psychological tests (e.g., BASC-3). I can be reached via email if anyone would like to provide feedback to my case conceptualization. Tomorrow, I will react to the Allchin and McConnell and present my approach.